A place to grow and to reflect, to find meaning and purpose in life. The name of Rich Hill was derived from a similar crossroads in County Armagh, Ireland. The original structure of Rich Hill Methodist Church was a wooden plank building built in 1859 and located at the cemetery south of the church. 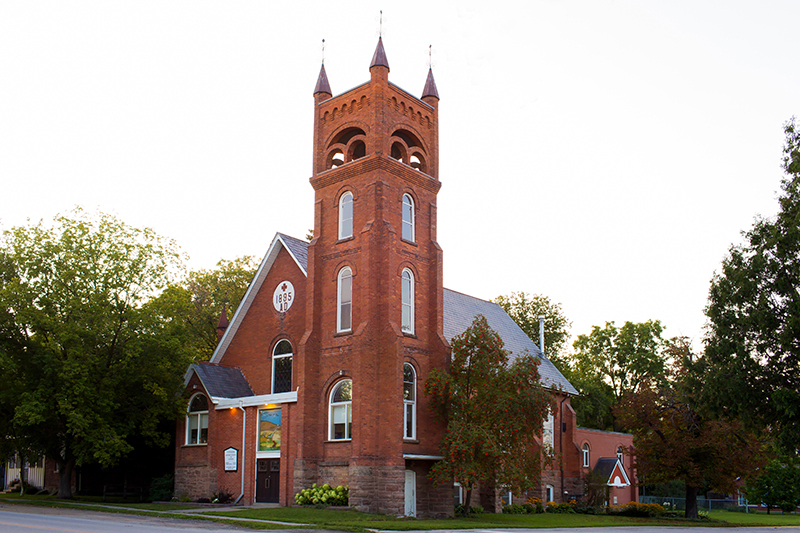 The congregation in 1887 belonged to a circuit including Beeton, Tottenham, Rich Hill, Reaney’s and Tecumseth. In 1888, the brick church was built on land given by Robert Fleming and his mother. The plans for the church were drawn by John Merrick Sr. of Newton Robinson and the building constructed by Johnny McCabe and James Stephenson of Tottenham. Tottenham and Rich Hill became a two-point charge in 1900. 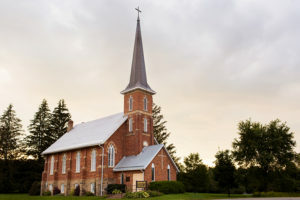 Church Union took place in 1925 with Rich Hill becoming a United Church. A windstorm destroyed the church steeple in 1928 and the tower was covered with an extension of the church roof. The vestibule was added to the church in 1980 in order to enclose the exterior steps. Additional land was purchased in 1992. In 2001, the top of the tower and the steeple were replaced as a millennium project and the church was designated a historic building under the Ontario Heritage Act. Music is an important aspect of worship at Rich Hill. Children are central to our worshiping life. Worship is followed by coffee and conversation. In 1885 a Methodist Church was built on the NW corner of Church and Mill Sts, Tottenham. In June 1895 a portion of the town of Tottenham was destroyed by fire, including the Methodist church. All they were able to save was the Pulpit Bible and the Bell. 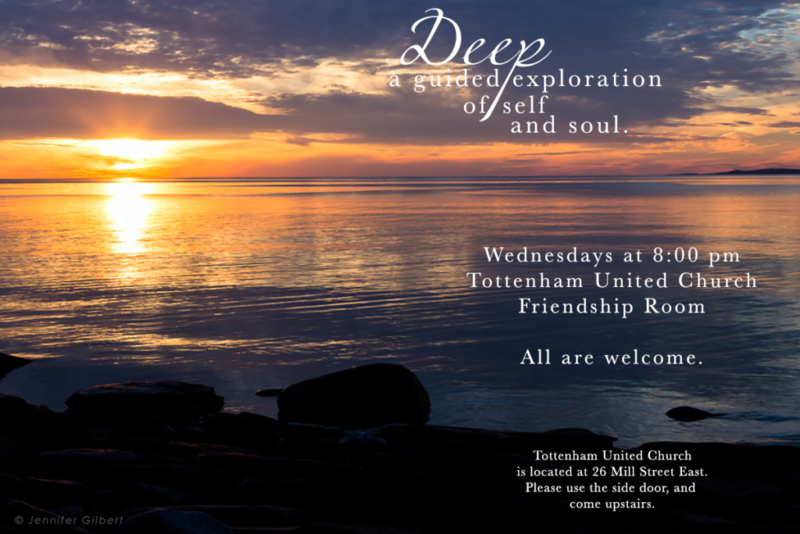 They are still part of Tottenham United Church today. Church Street was renamed Dickerson Street. 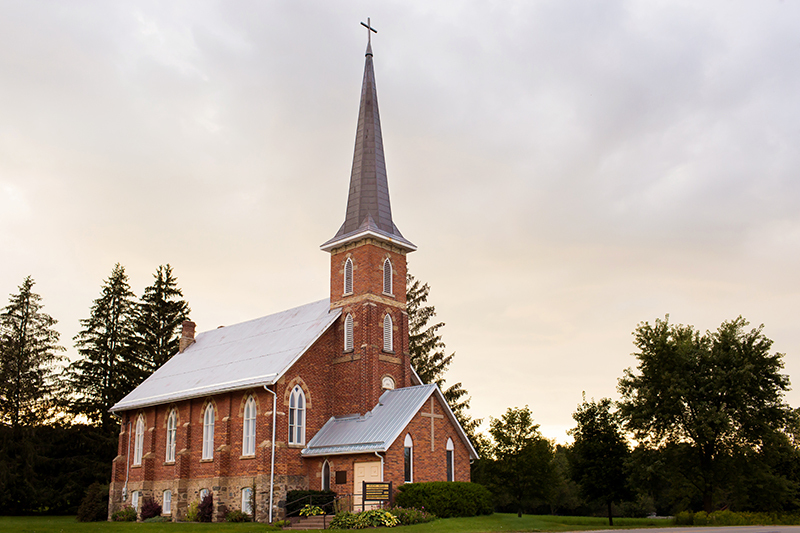 2) June 10, 1925 The United Church of Canada was created. 1950 – The original pair of stairs were rebuilt coming into the front of the church. 1960 – The old furnaces were replaced with oil and later changed to gas. The floors in the sanctuary were covered with oak squares and the aisles, chancel and the choir loft were carpeted. 1972 – the front of the building was revamped. 1975 – front of the church remodeled to enclose one set of stairs. 1982 – the sanctuary floor was braced and the basement remodeled. 1984 – phase 2 of the basement reconstruction. New Gas Stove in the kitchen. 1996 – remodeling took place with wheel chair access, new choir and Sunday school rooms, new Minister’s office and upgraded bathrooms. 2001 – carpeting upgraded and main hall retiled. Adopt A Road was organized to include a portion of Mill Street from the church to the 10th Sideroad. There are continuous repairs ongoing.